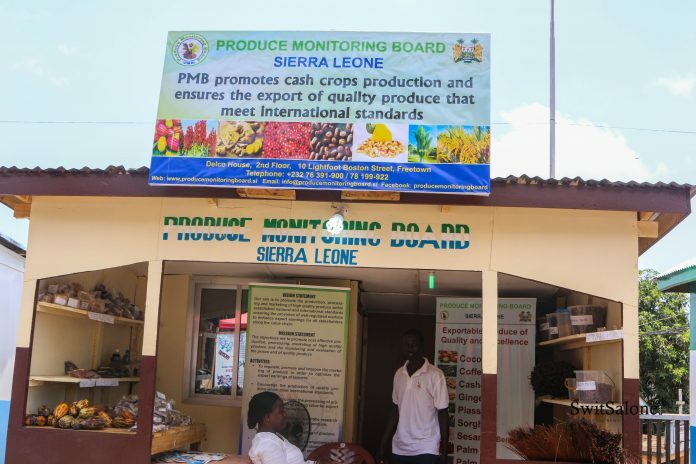 The Sierra Leone Produce Monitoring Board was established in 2013 as an agency under the Ministry of Trade and Industry to regulate, monitor and promote trade in the produce sector with a view of encouraging higher production levels of exportable agricultural commodities and to ensure fair pricing for the benefit of all local stakeholders as well as facilitating the export of high quality products that conform to international standards. 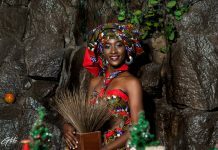 Main exportable produce include; Cocoa, Coffee, Cashew, Sorghum, Palm Oil and Palm Kernel just to name a few. 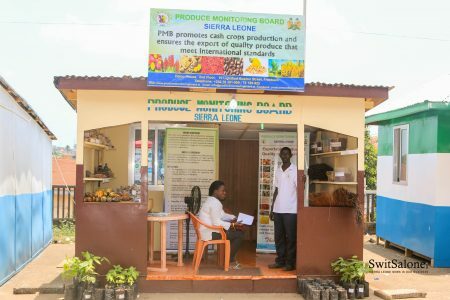 Kenema based business – Grind Robusta Coffee is an example of a local business, using 100% raw Sierra Leonean products to promote trade. 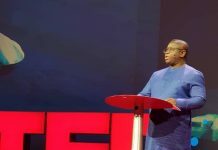 Switsalone spoke to Mr. Mohamed Koroma the Office Attendant, he said that the business was developed to source Sierra Leone raw materials, the biggest one being cocoa. 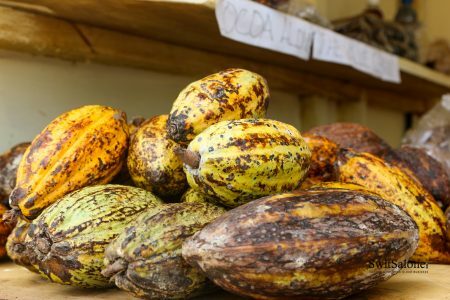 They had a vision to use it for its diverse qualities as cocoa can be used to create many different things. 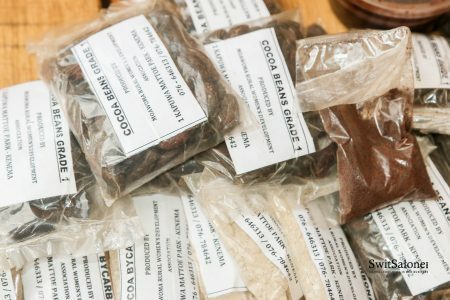 Grind Robusta Coffee saw the need to use cocoa pods for their versatility, and part of the work they do is to sensitize and train farmers on harvesting various raw materials such as cocoa. 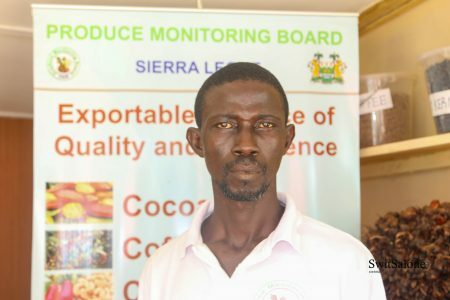 They get their cocoa pods from districts such Bo, Kenema and Kailahun just to name a few, and it is produced by the Moawoma Rural Women’s Development Association. However, they are yet to acquire appropriate machinery to refine the cocoa, so they rely on manual labour. The list of things that can be made from cocoa are endless. 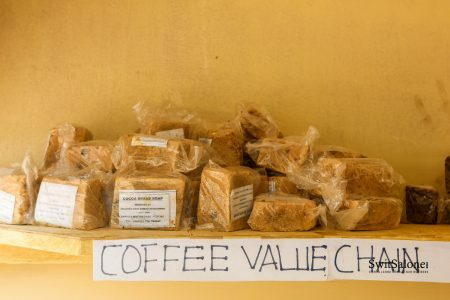 Coffee, cocoa butter, another example is soap. To make soap, the cocoa is pounded and sifted. The water is then retrieved, and boiled until thick. This thick residue is what is then slowly churned and transformed into soap. Grind Robusta Coffee sell their products at both retail and wholesale. 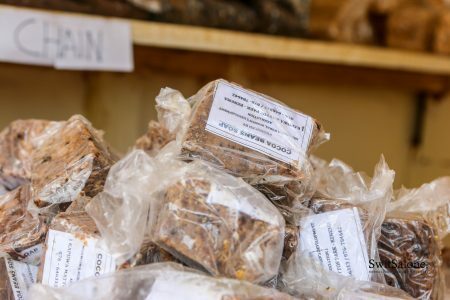 This includes their cocoa butter (Le 15,000), cocoa beans soap (Le 10,000), black soap (Le 5,000), cocoa beans (Le 10,000), Coffee beans (Le 10,000), as well as coffee that has been grained, parched and processed for Le 5,000. 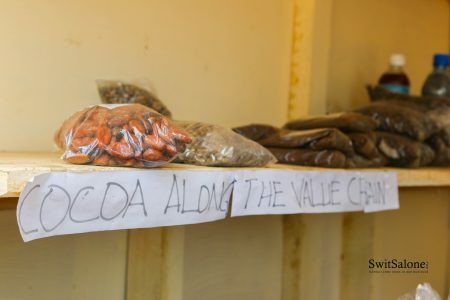 These prices are reflective of measurements used in production, at the main site in Kenema. If you live in Freetown and would like to buy some of the products mentioned here, why not head on over to the National Stadium, to the Sierra Leone Produce Monitoring Board stall, and support this local business? If you are based in Kenema, check them out at 1 Kapuwa Mattoe Park. Grind Robusta Coffee can also be contacted on 076646313/076784642.